In a time when thick coal smoke blanketed the city and skyscrapers were often maligned for casting long shadows on the streets, the architects of the Reliance Building sought to create a building that could be "self-cleaning." The glazed terra cotta cladding provided what was thought to be the perfect solution. It was believed to never need cleaning because its smooth surface would allow any dirt to wash away in the rain. 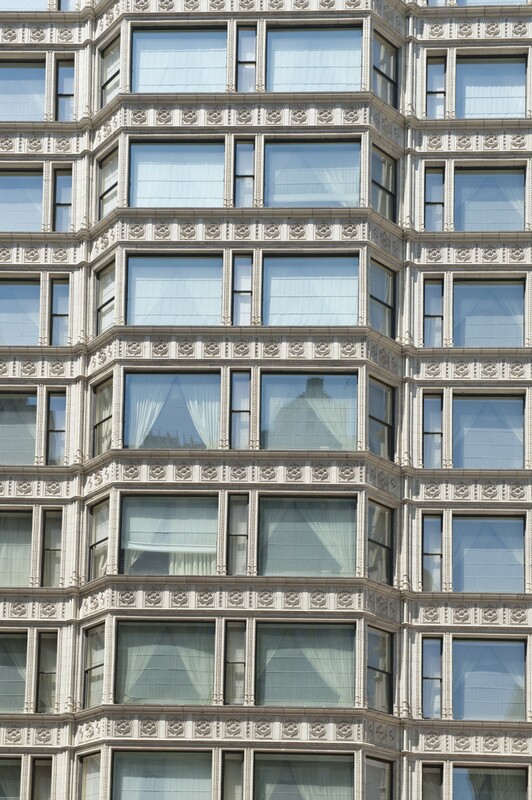 Though that belief ultimately turned out to be unfounded, it inspired the Reliance Building’s most distinct feature, its shining facade of glass and white terra cotta. Today the restaurant that occupies the first floor is named for the building’s chief designer, Charles Atwood. The Reliance Building was one of the first skyscrapers to offer electricity and phone service in all of its offices. Al Capone’s dentist was one of the health professionals that rented office space in the Reliance Building. The Hale Elevator Company—owned by William Hale, who commissioned the Reliance Building—was an early producer of hydraulic elevators, which were important to early skyscraper design. 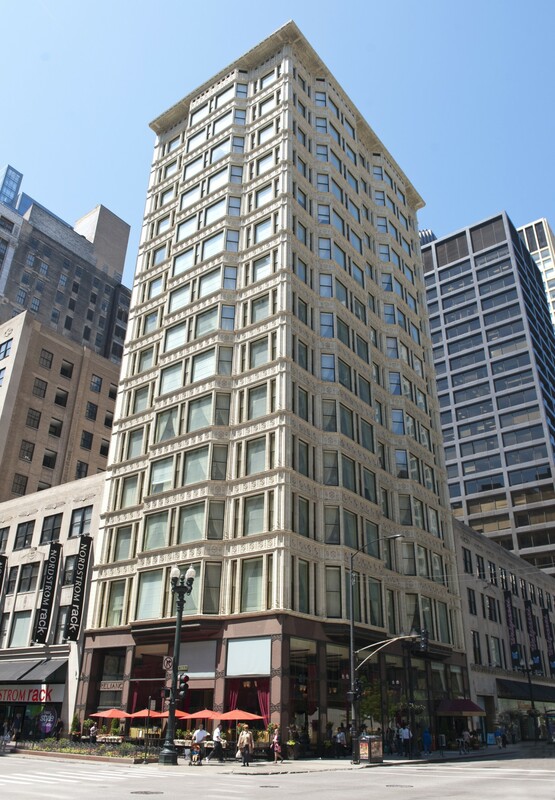 Carson Pirie Scott & Co. was the first tenant of the Reliance Building, opening a dry goods store on the first floor. This building’s story has something of a strange beginning. 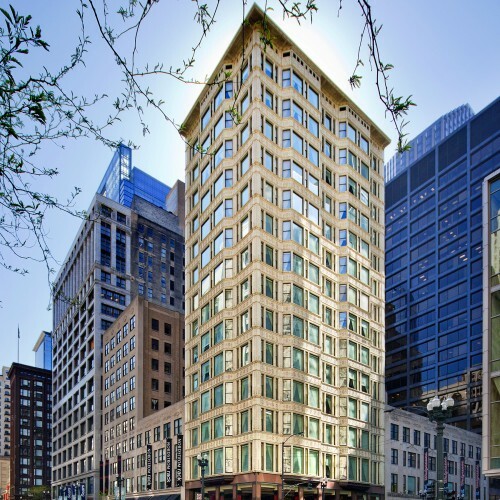 In the late 1880s, real estate investor and elevator entrepreneur William Hale commissioned Daniel Burnham and John Wellborn Root to design a 14-story building at the corner of Washington and State. There was one small problem: A building already stood on the spot and tenants on its upper floors wouldn’t give up their leases. To work around this situation, the contractor jacked up the second, third and fourth floors of the existing building and demolished the raised basement and first floor. Construction began on the new building's foundation while its tenants remained above. Following Root's untimely death in 1891, Daniel Burnham hired designer Charles Atwood. 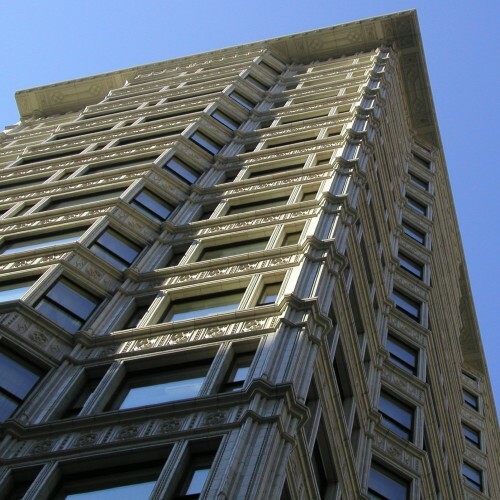 Once the leases on the upper floors ran out, the building was completed using Atwood’s new design. The new 14-story structure opened in 1895 with planned spaces for doctors and dentists to see patients downtown. Large glass windows allowed for ample amounts of daylight to stream into the office spaces. The light allowed for better visibility during medical exams, and the white terra cotta projected a hygienic image to tenants and their patients. 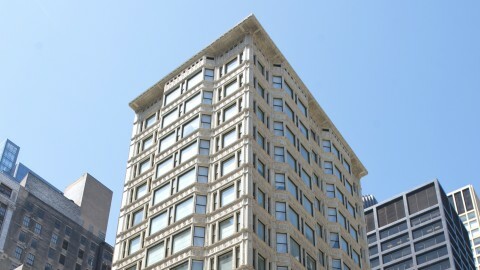 The Reliance Building’s design and importance have been recognized by being named a city, state and national landmark. 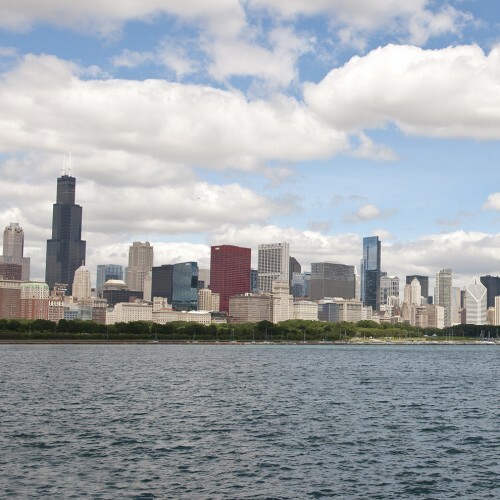 All this, and it is also ‘a thing of beauty’ per Tim Samuelson, Chicago's cultural historian. The Reliance Building struggled to maintain full occupancy after the Great Depression. The building’s small retail spaces were hard to fill, and it fell into disrepair. 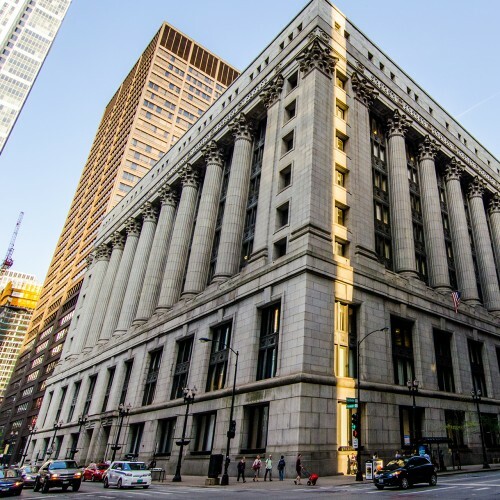 Although it was recognized as a National Historic Landmark in 1970, it continued to deteriorate until the city of Chicago purchased the building in 1994. That year, restoration of the building’s exterior began. 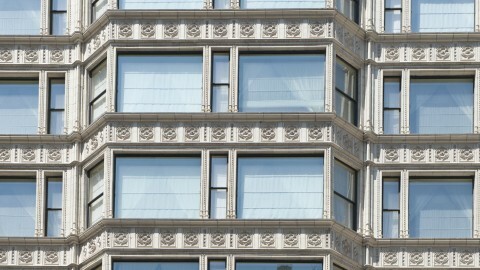 The damaged terra cotta and all of the windows were replaced. 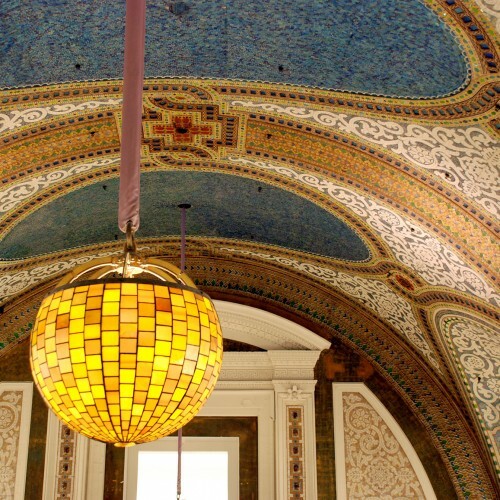 The building was then sold to a private developer who renovated the interior—including the stunning elevator lobby—and created the boutique Hotel Burnham (now Alise Chicago).